Yep. Loaded fsc and activated 8TH before. FSC will cost you a couple of hundreds depending on where it comes from. Need to add 8TH to FA and VO-code a couple of modules. A lot of those Chinese bits are now reappearing all over TM and Facebook. 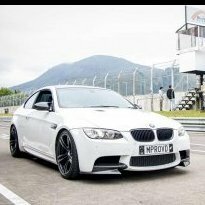 Like M3/M5 style bumpers and grilles. Yes I wish I went genuine. That's precisely why I ordered Bosch instead of OEM. Same same but different. Thinking of selling the plates too? 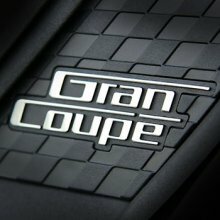 Anyone have experience with the N57 engines? I was seriously considering a 335i/d F31 but there were none for sale. Not a single 535d F11 either. That was a year ago, not much changed since then. From my own experience with both N55 and N57: 535i F11 - a $100 in petrol would last me about a week, standard daily "city - over the bridge - city" commute with an occasional out of town trip. Or $200 in two weeks. 640D F06 - a $100 in diesel (full tank is actually $90 something) will last me just over two weeks for the same commute. That's about 800km of travels per tank. URC is $0.06 per km or about $48 per tank in my case. $148 in two weeks. Spent a couple of hours making her look pretty. Took a photo of her sitting there looking rather pretty. Have had my N57D30T1 for almost a year now and done close to 15k. Absolutely love it and take it any day over a N55 (had one of those for almost a year too). Pulls like a freight train yet consumes only 5.5-6L on an open road. Central Auckland only is around 9L if you push it around a bit. There is a number of variations of N57 though and as I understand it not all N57 are the same in terms of reliability. Took me 15min all up to do the initial flash (8HP) Tells you exactly how long it is going to take. F-series only. Carly is more like it. BMW diesel fires in Korea! Got a recall letter for mine too. From what I've read on overseas forums this might be a lengthy process if they do not have parts in stock. Found it, https://www.autodoc.de Can also do https://www.autodoc.co.uk/ slightly more expensive due to exchange rate differences , EUR vs GBP. Around $1,200 landed in Auckland before GST (no duties for carparts) Plus GST etc: NZ$1,500 all up.